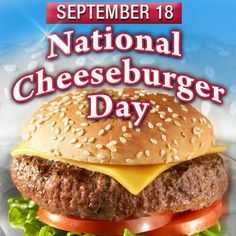 Tommorrow September 18 is Cheseeburger Day and to celebrate we have some awesome deals for Free burgers. Stillhouse Burgers: The first 50 guests over 21 years of age to order a burger on September 18th beginning at 5 p.m. will receive a free burger a month for the next year in honor of Stillhouse’s 1 year Anniversary & National Cheeseburger Day. Stillhouse, 56 Andrews Dr. NW, Atlanta. Burger 21: This location near the Mall of Georgia will give members of its email club, the B21 Club, a free cheesy burger with the purchase of a burger, salad or hot dog from Sept. 17 – 19. To get the deal you have to join the B21 Club at http://www.Burger21.com. I believe this can be one of the most vital information to me. to proceed to give you a shout out from Austin Texas! Just wanted to explain to you keep up the fantastic job! I adore reading through a post that will make people think. Hello, just wished to say, I loved this post. It was actually inspiring. I love the valuable information you provide in your articles. I’ll bookmark your weblog and look again here regularly. I’m quite sure I’ll learn many new stuff on this site! All the best for the next! comparison of most up-to-date and previous technologies, it’s awesome article. This design is wicked! You most certainly realize how to have a reader amused.